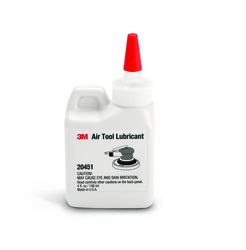 A lubricating oil that keeps air tool motors running at top efficiency. The oil reduces the coefficient of friction between moving parts and reduces the amount of heat produced by the motor. A lubricating oil that keeps the tools running at top efficiency. The oil reduces the coefficient of friction between moving parts and reduces the amount of heat produced by the motor. Use 2-3 drops per day or as needed to maintain tool performance.